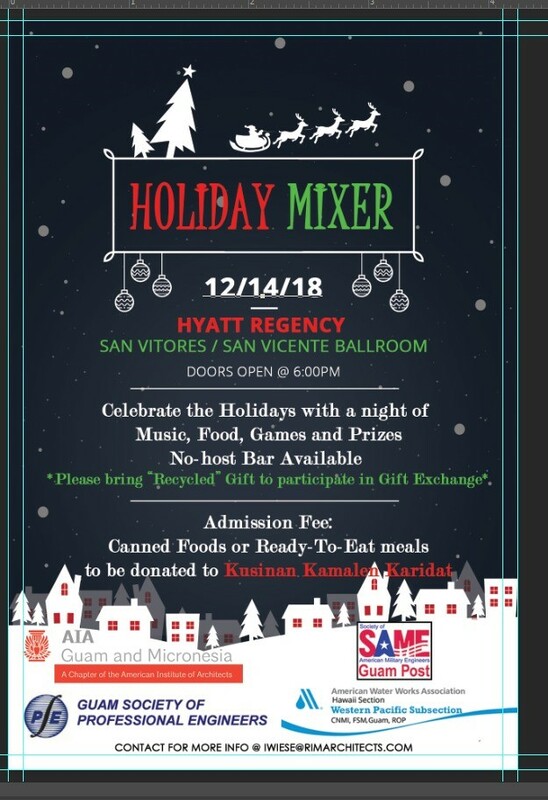 Celebrate the holidays with a night of music, food, games and prizes. If you would like to participate in the gift exchange, please bring a "recycled gift." For more information see attached flyer. ©2019 Guam Society of Professional Engineers. All rights reserved.